Adams fleas a tick collar for dogs kills fleas and ticks for 6 months. This collar is a double layer, sustained-release system containing three active agents combining the insecticidal actions of vapors and powders, working in two ways to provide fast-acting quick kill and long-lasting head-to-tail protection. 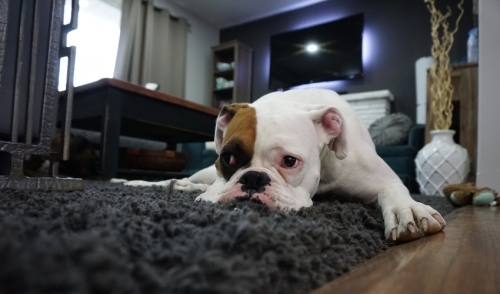 Thus, collar has the effect of simultaneous usage of a spray and a powder in the control of fleas and ticks, including ticks that may carry Rocky Mountain Spotted Fever, Lyme Disease and Ehrlichiosis. Wetting collar will not impair collars effectiveness. It is not necessary to remove collar if pets go swimming or are out in the rain. 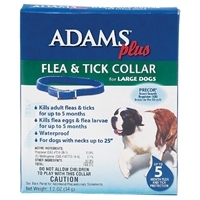 Use Adams Dual Action Flea & Tick Collar year round for most effective control. Replace every 6 months.